Μικρή καθυστέρηση για το πολυαναμενόμενο action-RPG Underworld Ascendant. Όπως ανακοίνωσε η δημιουργός OtherSide Entertainment, το Underworld Ascendant τελικά βγαίνει 15 Νοεμβρίου (αντί για Σεπτέμβριο) στο Steam. 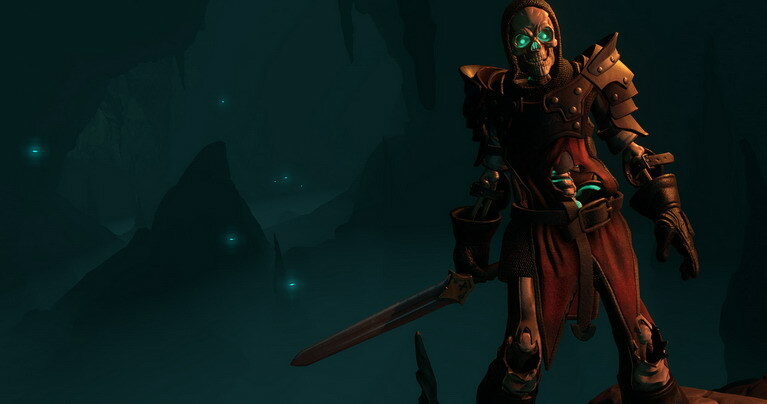 Ως γνωστόν, το Underworld Ascendant είναι διάδοχος των Ultima Underworld. Το παιχνίδι σας μεταφέρει ξανά στη Stygian Abyss, έναν φανταστικό κόσμο γεμάτο ίντριγκες και κινδύνους. Έχετε στην διάθεσή σας ποικιλία εργαλείων προς πειραματισμό, ώστε να δημιουργείτε τις δικές σας λύσεις στις διάφορες προκλήσεις. Η ιστορία και ο κόσμος αντιδρούν δυναμικά στις επιλογές σας, ανταμείβοντας την δημιουργικότητα και επιτρέποντάς σας να ζήσετε την δική σας ξεχωριστή εμπειρία. Δείτε επίσημα χαρακτηριστικά και νέο gameplay trailer και πείτε μας αν σας ενδιαφέρει! • A DEEPLY IMMERSIVE WORLD: Enter a fully-realized dungeon realm, rendered in expressive detail, where simulated systems make logical sense and creative experimentation is amply rewarded. Interact with useful flora and physics-based traps. Encounter fantastic creatures like Lizard Men, opportunistic Outcasts, and fearsome Mind Cripplers – all with unique abilities that can be used to your advantage. • DYNAMIC NARRATIVE: Become embroiled in an epic plot, as rival factions vie for dominance in struggles that ebb and flow across the realm. Every decision you make has unique consequences on events and the world around you. How will you navigate The Stygian Abyss? • A HERO TO CALL YOUR OWN: Launch yourself into fluid, intense combat. Cast powerful magic to defeat the enemy. Use stealth and subterfuge to avoid enemies and obstacles altogether. Freely mix and match across dozens of distinct combat, stealth & magic abilities, plus your choice of weapons, magical items and useful provisions to create a unique hero who is truly your own. • UNBOXED GAMEPLAY: Unlock your creative potential with the Improvisation Engine. Experiment with a wide array of skills and magic. Manipulate your environment – and creatures who reside in it – to stack the odds in your favor. The game sets the challenge, the solution is up to you. Craft your own adventure. • EVER-EVOLVING QUESTS: Explore constantly-evolving environments, offering dynamic opportunities and deepening challenges. Set out on a wide variety of quests: from intrigue and manipulation among conflicting Factions to opposing the growing influence of the undead. Delve into lost areas, collect rare objects, alter the environment, and more. • UNIQUE REWARDS SYSTEM: Earn rewards and unlock skills through exceptional performance and creative solutions. Solve challenges in unique ways and push yourself to experiment.